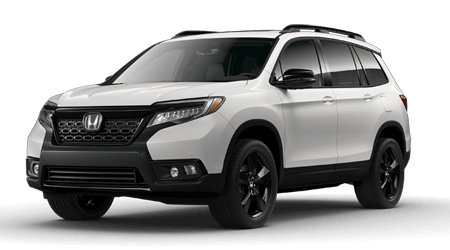 Honda Morristown in Morristown, TN has made it easy to apply for auto financing, simply complete the secure application that can be found below! Our Honda finance department will review your information and contact you to discuss your options soon; in the meantime, we encourage you to explore all the impressive new Honda vehicles we have in stock. Our new and used Honda dealership near Jefferson City, TN has assisted many drivers with their loan goals, and we are eager to bring our expertise to you! From competitive loan terms that complement your pristine credit rating to loans that work with your bad credit financing needs, Honda Morristown has impressive credit options to explore! There are some errors in your form. Please complete all fields with valid information. TERMS, CONDITIONS & PRIVACY NOTICE. I HAVE READ AND AGREE TO THE TERMS & CONDITIONS. I CERTIFY THAT I HAVE PROVIDED TRUE AND ACCURATE INFORMATION IN THIS FORM. BY SUBMITTING THIS FORM, I AUTHORIZE THE DEALER TO BING A CREDIT INVESTIGATION, TO PROCESS MY APPLICATION, AND TO FORWARD MY APPLICATION TO LENDERS, FINANCIAL INSTITUTIONS, OR OTHER THIRD PARTIES IN ORDER TO PROCESS MY APPLICATION. WHAT DOES HONDA MORRISTOWN DO WITH YOUR PERSONAL INFORMATION? WHY? Financial companies choose how they share your personal information. Federal law gives consumers the right to limit some but not all sharing. Federal law also requires us to tell you how we collect, share, and protect your personal information. Please read this notice carefully to understand what we do. WHAT? The types of personal information we collect and share depend on the product or service you have with us. This information can include: Social Security number, account balances, credit history, income, payment history and employment information. HOW? All financial companies need to share customers' personal information to run their everyday business. In the section below, we list the reason financial companies can share their customers' personal information; the reason Honda Morristown chooses to share; and whether you can limit this sharing. REASONS WE CAN SHARE YOUR PERSONAL INFORMATION: * For our everyday business purposes-such as to process your transactions, maintain your account(s), respond to court orders and legal investigations, or report to credit bureaus. DOES THE FAIRCY BOYS SHARE? YES. CAN YOU LIMIT THIS SHARING? NO. For our marketing purposes-to offer our products and services to you. DOES HONDA MORRISTOWN SHARE? YES. CAN YOU LIMIT THIS SHARING? NO. For joint marketing with other financial companies. DOES HONDA MORRISTOWN? YES. CAN YOU LIMIT THIS SHARING? NO. For our affiliates' everyday business purposes-information about your transactions and experiences. DOES HONDA MORRISTOWN SHARE? NO. For our affiliates' everyday business purposes-information about your credit worthiness. DOES HONDA MORRISTOWN SHARE? NO. For non affiliates to market to you. DOES HONDA MORRISTOWN SHARE? NO. QUESTIONS? Call (423) 509-0986 or go to http://www.hondamorristown.com/ and click on "Contact Us"
WHAT WE DO: How does Honda Morristown protect my personal information? To protect your personal information from unauthorized access and use, we use security measures that comply with federal law. These measures include computer safeguards and secures files and buildings. How does Honda Morristown collect my personal information? We collect your personal information, for example, when you apply for financing, give us your driver's license, provide account information, give us your income information, provide employment information, give us your contact information. We also collect your personal information from others, such as credit bureaus, affiliates or other companies. Why can't I limit all sharing? Federal law gives you the right to limit only: sharing for affiliates' everyday business purposes-information about your creditworthiness, affiliates from using your information to market to you, sharing for nonaffiliates from using your information to market to you, sharing for nonaffiliates to market to you. State laws and individual companies may give you additional rights to limit sharing. DEFINITIONS Affiliates: Companies related by common ownership or control. They can by financial and nonfinancial companies. HONDA MORRISTOWN HAS NO AFFILIATES. Nonaffiliates: Companies not related by common ownership or control. They can be financial or nonfinancial companies. HONDA MORRISTOWN DOES NOT SHARE WITH NONAFFILIATES SO THEY CAN MARKET TO YOU. Joint Marketing: A formal agreement between nonaffiliated financial companies that together market financial products or services to you. OUR JOINT MARKETING PARTERS INCLUDE FINANCE COMPANIES.